Welcome, I'm Mike Hall and my family and my fellow tribute planners are here to serve you with compassion, dignity and professionalism. We believe that the most valuable thing we own cannot be seen or touched. It is the goodwill of the families we have served and the people who recommend us. Our high standards are intended to bring excellence and compassion during life's most difficult and painful times. Our tradition of service continues here on-line. We've designed our site to give you easy access to on-line tributes and memorials. We're proud to honor your family and friends with these tributes. If you are caring for a loved one today, we are here to provide you with immediate support and answers to your questions. If you are planning for the future, you can count on us to help you get started. Thank you for taking the time to visit our website. A great deal of time and effort has gone into providing this service to our community and the families we serve. We are constantly enhancing and updating the information in this medium and hope that you find it helpful and convenient. We are here to continue to provide the highest standards for our community and to the families that we serve. Come check us out on Facebook. Please click here to view a list of our local florists. This can be a difficult time of year when the holidays approach and we are missing our loved ones. Please join us to honor and remember your loved one. By letting us know you are coming we will give a gift of a personalized ornament. Please join us to share in a short program and refreshments following the candle lighting. HOLIDAY MEMORIAL CANDLE LIGHTING CEREMONY will be held on Saturdayday, December 12, 2015 at 2PM at Hall's in Boothbay. Please call us at 633-2171 or email us. Hall’s 18th annual Service of Remembrance will take place in Thomaston this Saturday, December 6th at 2pm on Main Street in Thomaston and also in Waldoboro Sunday, December 7th at 3pm at Hall’s on Main Street in Waldoboro. Boothbay's Program will be held at Hall's of Boothbay on Saturday December 13th at 3pm at 975 Wiscasset Road (Rt. 27) in Boothbay. This warm and comforting service at Hall’s will allow all who attend to come together to remember and celebrate their loved one during this holiday time and allow them to cherish the memories of our family and friends they have lost. The program will include the candle lighting ceremony. The staff at Hall’s read the names of the community members who died this past year and the family members will come forward to light a candle in memory of their loved one or friend. After the names are read, everyone was welcomed to light another candle in memory of other family and friends who have died in the past. As a gift, the families will receive one personalized glass ornament in memory of their loved one to hang on their Christmas Tree as a gift from the Hall family and staff. Mike Hall, owner of Hall’s, expressed “This annual service of remembrance has helped many families honor their loved ones, and has provided a safe place to express their feelings and ultimately brings hope to each family. In this Christmas Season, cherish your family and friends, and tell them how much you love them and what they mean to you.” Refreshments will be served afterwards. All are welcome to attend. Please call Hall’s at 354-6025 or 832-5541 to respond. Please join everyone at Hall's in welcoming Laura Conway as our newest Funeral Director and Tribute Team Member! Laura Conway grew up in Livermore Falls, Maine and after graduating High School went on to college at SMCC to obtain a degree in Radiography. Laura graduated from SMCC in 2006 and started working at Southern Maine Health Care as a CT Technologist. When Laura started working at SMHC she was looking for a place to live, when one of her co-workers told her about a friend. He was living alone, so Laura moved in with him as a roommate. It was a match made in heaven and in 2009 Laura and Eric married at the Bethel Inn with many friends and family members to celebrate. While working at SMHC and Mercy Hospital Laura obtained her degree from American Academy McAllister Institute of Funeral Services in 2013 and started her apprenticeship in Biddeford before coming to Hall Funeral Homes. Laura enjoys dance, field hockey, hiking, sitting by a camp fire and spending time with her family. But she especially enjoys shopping. Laura looks forward to becoming a part of the community and local gatherings, and to helping families celebrate their loved one's lives in meaningful and unique ways. Hall’s Is Now Accepting Old American Flags for Honorable Disposal Hall Funeral Home and Tribute Centers are now accepting old American flags for honorable disposal at their three Tribute Center locations in Waldoboro, Thomaston and Boothbay. Community members are encouraged to bring their well-loved American flags to any of these locations during normal business hours for Hall staff to care for in a dignified and respectful manner. “At Hall, our hearts are full of love and respect for the United States and for all active duty and veteran military families,” stated Mike Hall, president. “When a veteran passes, we always do the most that we can to honor that person’s military career. The men and women who serve our country, and their families, have made huge sacrifices for which we are humbled,” commented Jason Guest, Director and Tribute Team Leader at Hall. The proper way to dispose of an old American flag is through burning. Here is what they plan to do with the old flags: “In an effort to follow the proper protocol for flag disposal, we will be draping the worn flags, when available, over the caskets of veterans whose families choose cremation, with their permission. This is a dignified way to honor our veterans during their final disposition and to show respect for the flag and for what it stands,” said Liz Hall. Hall’s encourage you to bring your worn American flags to any of their three locations: 949 Main Street in Waldoboro; 975 Wiscasset Road in Boothbay; 78 Main Street in Thomaston. For more information, questions or to schedule a drop-off, please contact Hall’s at 832-5541, 633-2171 or 354-6025. The employees of Hall’s invite you to join us for a Pancake Breakfast at our Tribute Center & Community Room, 949 Main Street in Waldoboro, on Saturday, September 13, 2014 from 6:00 a.m. to 10:00 a.m. The breakfast is free for community members, however, donations are graciously accepted to benefit our local food pantries. 100% of the funds raised will go directly to food pantries in Waldoboro, Newcastle and Jefferson. As a part of Hall’s mission to provide families care and support after the passing of a loved one, Hall’s is starting a grief support group called “Good Grief”. The group will be meeting the second Tuesday of the month at 5:30pm at Hall’s Tribute Center of Waldoboro, 949 Main Street, Waldoboro, ME 04572. This will be a safe environment to share stories, concerns and help families who have lost a loved one. The leader and facilitator of “Good Grief” will be familiar to many in the community. Robin E. Honaker, M.Div. in Counseling, is the Congregational Minister of the Pilgrim Community Church in Camden and has worked with Hall’s for 3 years as Tribute Team Leader in Waldoboro. Robin has all too much experience with grief. According to Honaker, “I have been there, I am there, and will continue to live in this reality of loss. In the past 8 years, I have lost a sister, a father, and a daughter; and the levels of grief is different in each of the losses – the losses were real but now there is hope.” Robin understands and wants to help families see a brighter future in your grief. “This is a wonderful addition to our After Care program where we send 4 grief booklets called “Journeying through Grief” to families throughout the first year after the loss of a loved one.” said Mike Hall, President of Hall’s. “We are grateful to Robin and Pilgrim Community Church for supporting us in our mission”. So, please join us the 2nd Tuesday of each month in Waldoboro at 5:30pm. Refreshments will be served. For more information, please call 832-5541 or 354-6475. In honor of Memorial Day we are inviting our veteran's and their families to Hall's of Waldoboro for a BBQ and cookout following the Memorial Day Parade. Please join us to celebrate our local heroes! 10 am until noon. Hope to see you there! We are pleased to extend an invitation to our first Valentine's Day Luncheon-and-a-Movie so that we may honor our Sweethearts. It is meant to provide you with a special place and time to remember a Sweetheart and to share the occasion with others who have lost a spouse or companion as well. After our luncheon, we are showing the movie classic Roman Holiday with Audrey Hepburn &amp; Gregory Peck. We will have freshly popped popcorn to share and drinks to enjoy. Please join us at 12:30, Wednesday February 12 in Thomaston or Thursday February 13 in Waldoboro or Friday February 14th in Boothbay. We are pleased to welcome Jenna Guest to our family of Tribute Team members. Jenna grew up in Peru, Maine with her Mom, Dad, and two sisters. After graduating from Dirigo High School in 2003, she attended the University of Maine at Farmington, and obtained a Bachelor of Arts degree in Mathematics. She met her husband Jason while attending school in Farmington. They are celebrating their five year wedding anniversary this October. 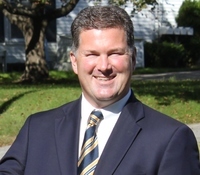 You may recognize Jason's name as he is a licensed funeral director and Tribute Team Leader with Hall's. Jenna has ambitions of attending graduate school in the future to receive a Master’s Degree in Business/Finance. She makes time for card-making, quilting, sewing, hiking, baking, cooking, volleyball, gardening, entertaining, playing the piano, and most importantly spending quality time with family and friends. She currently lives in Jefferson with Jason, her dog Xena, and cat Pooka. Jenna is thrilled to be working for a small family business where she can help families within her community. Holidays are busy for everyone, but for those who have lost a loved one or close friend this past year, then the holidays are difficult. Since holidays are full of tradition, we invite you to join us in our holiday tradition of the Holiday Memorial Candle Lighting Ceremony. These services are in each of our three locations during this season. In Waldoboro, the service is the 8th of December at 3pm with the Rev. Jen Curran speaking; on Thomaston, the service is the 8th of December at 12:30pm with the Rev. Seth Jones, and in Boothbay, the service is the 7th of December at 3pm with Rev. Kate Pinkham. If you like to attend, please contact us. Today we remember the victims of the attacks on the World Trade Center, Pentagon, Flights 11, 175, 77 &amp; 93 and honor those who went to their rescue. This 9-11 do something to honor our 11th anniversary and remember those sacrifices made by our veterans, 1st responders and the families of those who lost a loved one on that fateful day. We love the Olympic spirit and now we can say one of our own, Boothbay Harbor native Ellie Logan, and her U.S. women&#039;s eight rowing team defeated Canada by half a boat length to win the gold medal at the London Olympics Aug. 2, 2012. The U.S. team won gold at the Beijing games in 2008. Congratulations to all the women, their coaches and families for the dedication and commitment and passion it takes to go for the gold! Happy 4th of July! Like you we&#039;re a family. We appreciate traditions and celebrate our country&#039;s Independence. Even though the holiday may be a celebration of something that happened long ago, we&#039;re happy that people everywhere are spending time with their families and we celebrate that as well. Hall's is excited to announce that we are making beautiful tribute DVD's of your loved one's life and times. Simply request a DVD and we will create a professional and personalized DVD for your family to cherish. Then place it on your Book of Memories to share with those who visit your loved one's permanent web page. HALL'S RECEIVE GRANT FOR BIG BROTHERS/BIG SISTERS: Mike Hall along with The York Foundation provided a grant to Big Brother/Big Sisters in March 2011. Mike Hall was quoted as saying that "This is an important organization in our community and it is our pleasure to provide any assistance we can to help them meet their mission of helping kids." We are thrilled to announce that we had 22 of our staff, family and friends walk with 1,000 people on October 17th, 2010 in the MAKING STRIDES AGAINST BREAST CANCER WALK in Damariscotta, Maine. Our team, the Hall Striders, raised over $500 to prevent and fight Breast Cancer. We are pleased to introduce our wonderful BOOK OF MEMORIES, our personalized and permanent on-line tribute which is designed to be used as a true Memory Book. Just click on the name of your loved one and you will be taken to their own individual website where family and friends can offer their condolences, share stories, upload photos as well as view the obituary and service information. You are not limited by distance or time constraints and it is a permanent web page for your loved one for generations to come. Even if you have not utilized our services we are happy to provide you and your family a web page documenting your loved one's life. Please contact us for more information. Dear Mike, It was not only a welcome surprise but of great solace to have your personal attention at my father's funeral. Knowing well how schedules dictate our lives, it spoke volumes about your professionalism and kind heart. My family was honored by your presence as well as with the effortless dignity and reverence of the service. It needs to be said that while you are the consummate professional you also possess a quality that cannot be bought or sold or learned: your warm and giving heart. Dear Mike and staff, Thank you so much for assisting me with making the funeral arrangements. Your clear and level-headed thinking and planning at a time when I felt so scattered was an incredible help. Your loving support and kindness meant a great deal to me and my family. Dear Michael, It was so thoughtful of you to send me the first of four books on grieving by Kenneth Haugk. As you say, they are written in a warm and friendly manner with wisdom and insightfulness. He senses so well what others experience during their period of grief. As in my case life changes drastically on the death of one you loved so many years and is no longer with you. Thank you again for your kindness during this time of sorrow for me - it is greatly appreciated.